A summary based on 1000’nds of cameras of all brands I have seen and repaired. LCD display – Glass! Easily broken, when knocked or pressure applied! CF Card – long pins inside the camera need to access contacts inside the little holes of the card. Even tough the card has groves along the side, which act as guide rails, I have seen cameras with damaged card slots. Pins easily break off or bend, when not careful during seating or extraction of the card. Tape mechanism – very delicate and flimsy – don’t apply any pressure, when loading or removing the tape! Keep it clean and shut, when not used. Extendable lens – jammed lens sections due to dirt, sand and impact. So keep it clean, free of dirt and sand at any time. Make sure the lens is inside, when the camera is not used! There are three things to look out for, when the camcorder comes in contact with a liquid. a. 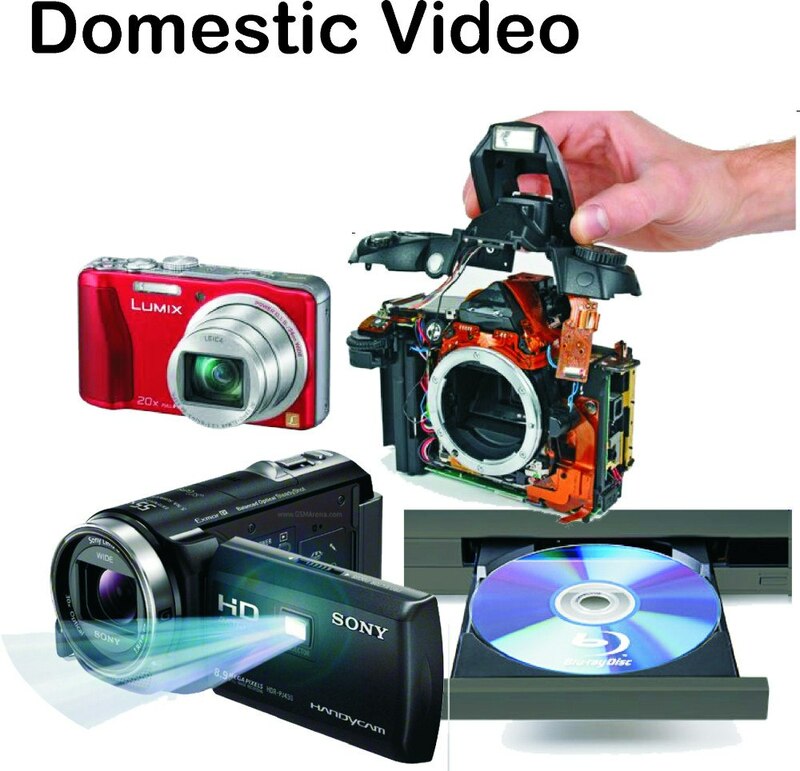 Most liquids are conductive and short out circuitry inside the camcorder. from spinning. Most liquids leave a residue, which mal function the recorder mechanism. No matter how badly the camera is affected by the liquid, the first thing you should do, is to disconnect the battery or power source, to prevent any shorting of the circuitry. 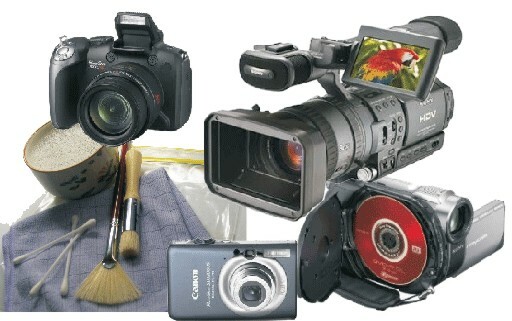 Once the camera has been dried, try to eject the tape or other media and use a different one for testing. If this does not help or your camera has been immersed in water, bring it to a repairer as soon as possible to prevent any corrosion. Any sand or dirt damage, the first thing you should do is to disconnect the battery or power source. Secondly, clean the camera thoroughly with a small dry brush and cloth. Now reconnect the battery, press eject and remove the tape or other media. Leave the cassette compartment open and remove the battery. When you see sand grains inside the media compartment, just blow it out with compressed air. Try to avoid touching any components, as they can be very delicate, particularly in a tape mechanism. If this procedure was not successful, the camera needs to be booked in with a repairer. Very important – have your camera bag sand free and clean from the inside. Don’t store any liquids like water bottles etc. in your camera bag, just in case. Transport and store camera without accessories attached. Keep camera in a separate compartment, away from other things. This way the camera is less bulky, lighter and therefore less prone to damage. Lens filter for protection – most lenses are none serviceable items and need to be replaced as a complete unit. Take your time during loading and unloading of the cassette, disc or memory card. Do not be rushed and apply any force during this procedure. Get into the habit of closing the cassette compartment where it says ‘push’ on the door. Keep the camera in plastic zipper bag inside your padded camera bag, to prevent any sand damage on the beach, or from water/rain damage etc.